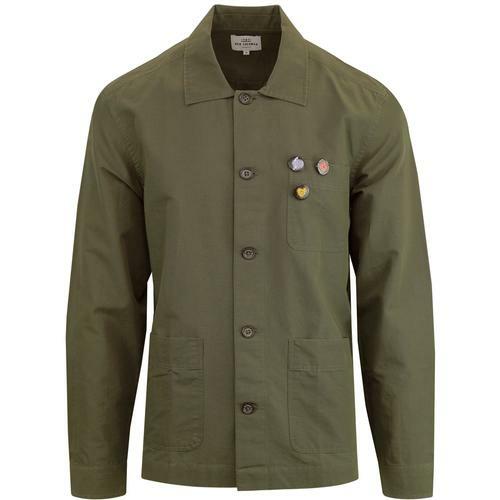 Pretty Green 'Caroline' Men's 1960s Mod Military overshirt with zip through fastening. Inspired by the era of Pirate Radio, swinging 1960s offshore stations such as Radio Caroline and Radio Luxembourg. A military inspired rip stop textured over shirt that embodies the renegade spirit, the musical rebellion at sea and the sentiment of 'Power to the People'! 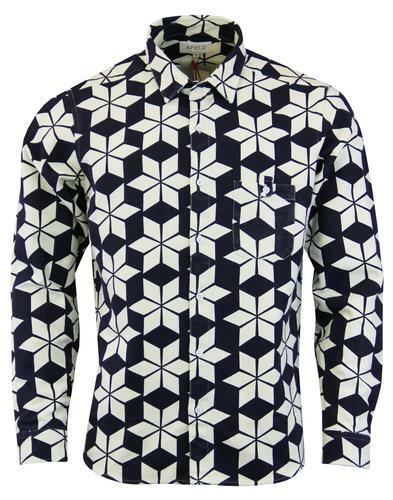 The shirt benefits from Retro textured square detailing, stylish button down chest pocket and Mod point collar. Finished with Pretty Green signature chambray paisley trims to the interior. 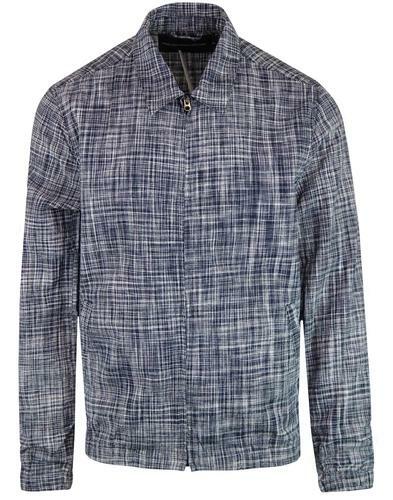 A perfect layering piece, the Pretty Green 'Caroline' overshirt will be a versatile addition to any Mod Clothing collection. 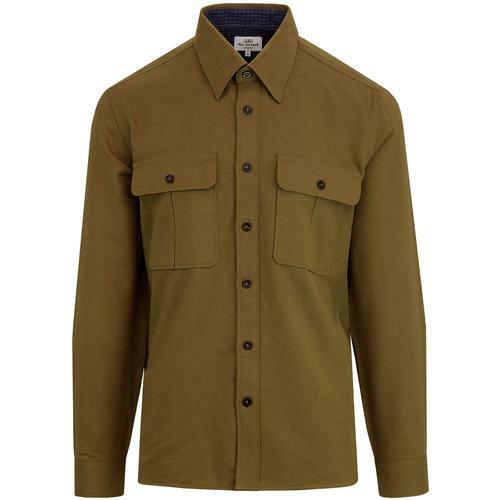 - Pretty Green 'Caroline' men's mod military zip overshirt in green. - 1960s mod chambray paisley interior trim. - Button down patch pocket to chest. 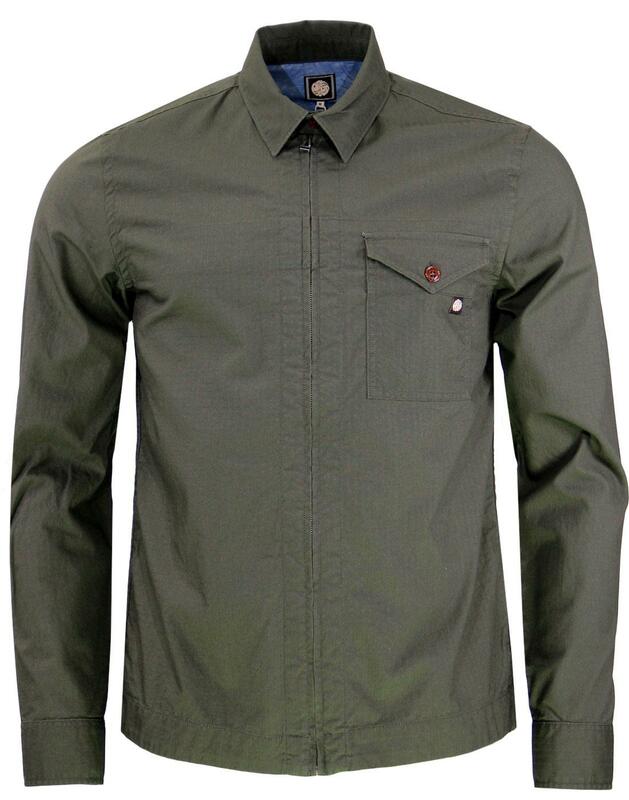 - Pretty Green signature button to chest pocket..
- Rip stop mini square textured cotton fabric. - SKU: S8GMU54789520 Caroline Zip Front Shirt.